Julianne Lutz Warren is an ecological thinker, scholarly and creative writer, and engaged community member. 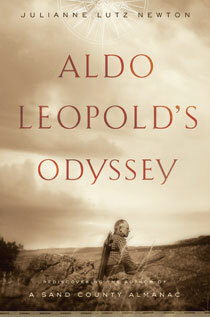 Her book Aldo Leopold’s Odyssey (Island Press) is an intellectual biography of twentieth-century cultural critic, conservationist, and author of the best-seller, A Sand County Almanac. Warren’s biography unfolds Leopold’s journey toward his vision of land health—that is, toward modern ethical-ecological human practices of living interdependently with plants, soils, waters, and other animals in mutually beneficial ways. Schooled by Leopold’s work and holding a PhD in wildlife ecology and conservation biology from the University of Illinois Urbana-Champaign, Warren has continued to explore ways to bring land health forward into the twenty-first century embracing Earth health. In her more recent imaginative writings, in her classrooms at New York University, and in public presentations across the country, Warren knits the land health concept with global climate justice, the need for fresh insights into utopian ideals, and what it means to take responsibility for the good of life across generations. The questions that guide her include: How may humanity bear authentic hope forward amid an unprecedented network of crises? What unplumbed possibilities, Warren wonders, does humanity have for expressing “generativity”—by which she means the capacity, on the whole, to be life-enhancing rather than life-ruining? What unsounded potential, that is, do human beings have to reflect the nature of the star-born, gold-veined Earth we belong to—a world-of-life in which forces of origination and destruction tend jointly toward increasingly diverse and complexly interrelated forms of life, fecundity, and deepening forms of consciousness? Humanity’s form of consciousness includes memory, imagination, and morality. We wonder and we grieve, we love and may become outraged when those whom we love are abused, or we don’t have what we desire. We search for ways to express what burns inside us and, not just to live, but to thrive. We tell stories, and some of our stories are more generative than others. Warren’s current work aims to advance stories of Earth-encompassing generativity and practices that encourage intimate and skillful compassion furthering diverse forms of being inspired by complementary dreams. At NYU, Warren received a 2013 Martin Luther King, Jr. Faculty Research Award for her climate justice work with students in and out of the classroom. She participated with them enthusiastically in the wide-spreading fossil fuel divestment and new economies movement. Her current book project, the first part of a triptych contemplating loss, origins, and dreams, is titled Echoes: Learning a Dead Birdsong. In it she invites readers to join her in a listening quest to fathom what remains in the recorded voice of an extinct bird imitated in the voice of an old man. 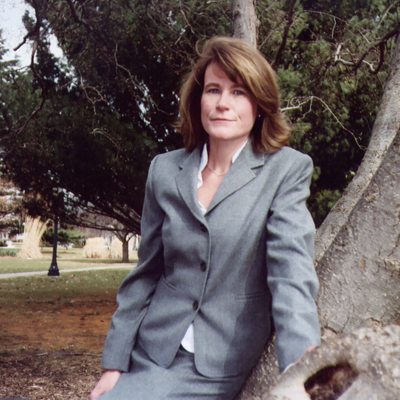 In 2006, Julianne Lutz Warren (née Newton) asked readers to rediscover one of history’s most renowned conservationists.